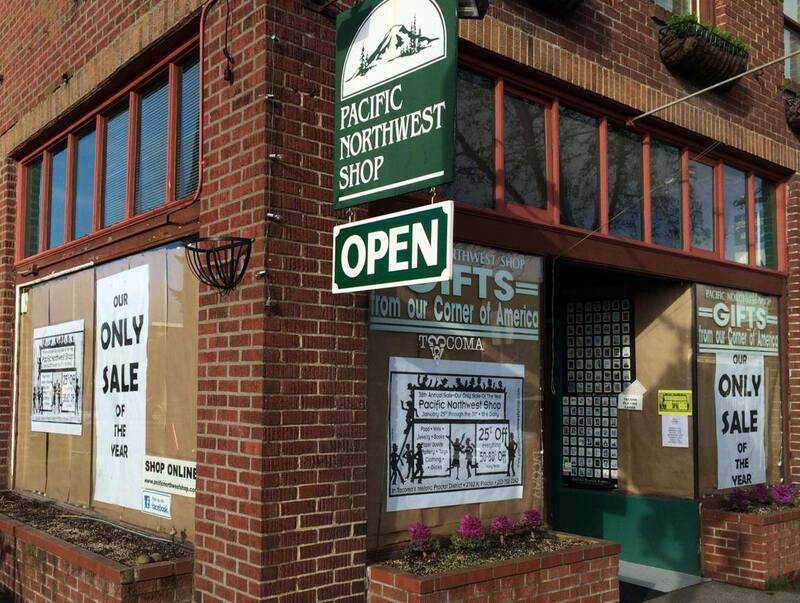 Q: When did you first open The Pacific Northwest Shop? Why did you decide to open a Pacific Northwest-themed shop? 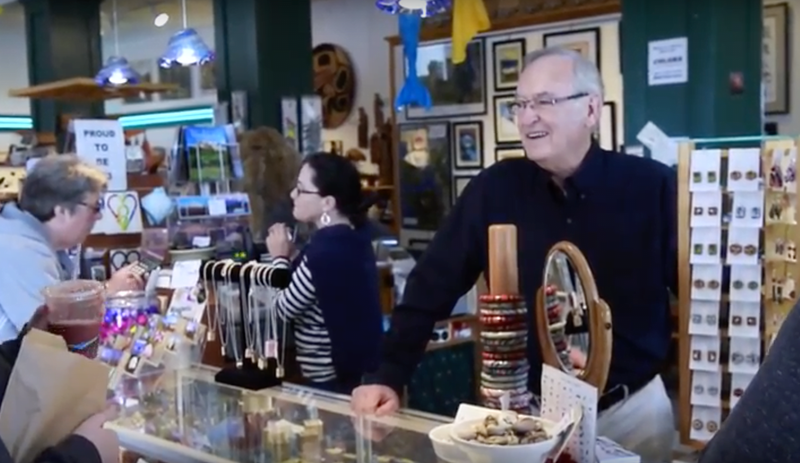 Bill: We opened our first retail store at Old City Hall in downtown Tacoma in 1974. My wife and I had lived in South America (Peru) and had worked in the high Andes with co-ops of native people who made folk art. When we returned to the states we decided to do the same thing here….working with local people. We started with inventory from South America and then from Africa and several years later worked just with people from the Pacific Northwest. You can read more about Bill Evans’ journey here! Q: What was the Proctor District like when you first opened? Bill: Proctor was “a nice little part of Tacoma.” As I remember, it wasn’t call “a district”… that word wasn’t yet “in vogue.” It was called “26th and Proctor.” There were many small, sole-proprietor businesses… not many vacancies, if any. A drug store, two bakeries and a gas station on the corner of 26th and Proctor. Q: How have you seen your business and your neighborhood change over the years? Bill: Fortunately, business has not suffered like in so many small urban centers in our country. 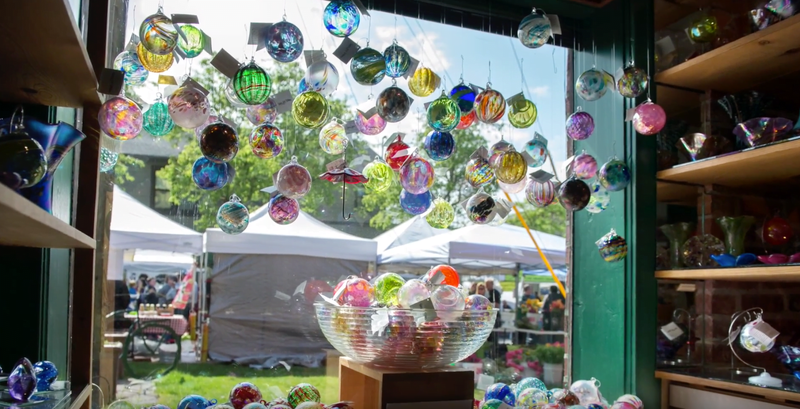 We have tried to keep business and the community healthy by fostering community events… Farmers Market, Proctor Treats, Artfest, etc. Q: How do you find local products to feature in your shop? Bill: I’m always looking for new products and encouraging creative folks to make them. Local soap makers, local candy makers, local potters, local wine producers, local authors, local food producers, local, local, local. You can shop online at The Pacific Northwest Shop HERE!